Use Clim Var Froid for the installation of your photovoltaic solar panels. Produce your own energy and consume it for domestic use! Photovoltaic solar panels are made of semiconductor materials which generate electricity using sunlight. Intended for self-consumption or resale to the grid, the electricity generated powers your electrical devices. Photovoltaic electricity is produced from sunlight, a non-polluting and inexhaustible energy source. Solar energy is free. It allows you to use your electrical devices totally independently, without recourse to the national grid. This reduces your electricity bill! Another advantage is that you can sell back the surplus energy. Comfort: You cover most of your needs by generating your own electricity. 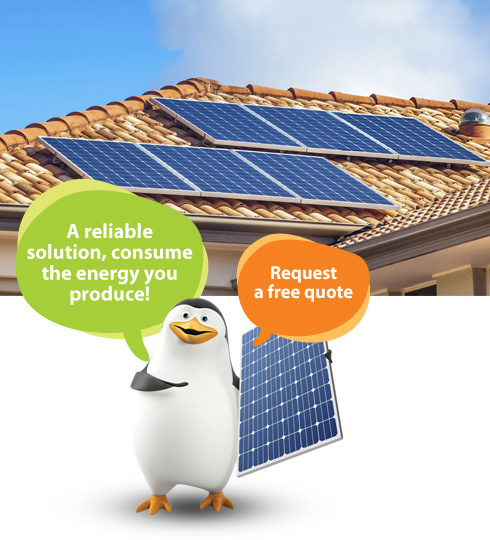 Clim Var Froid offers photovoltaic solar panel installation and maintenance across the Var department.